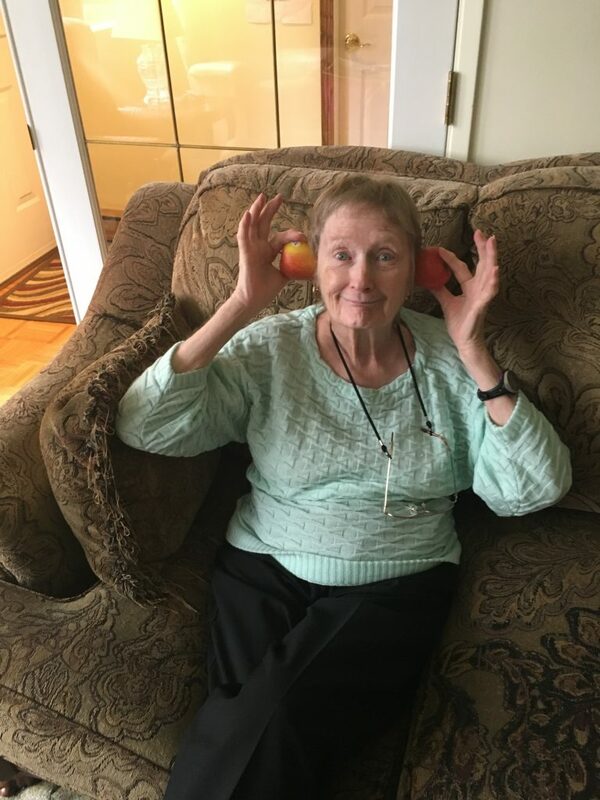 Just because you are over 80, does not mean you can't be silly. It is important that my mother eat good foods such as Ambrosia Apples. Eating well does not mean you can not have fun with your food.